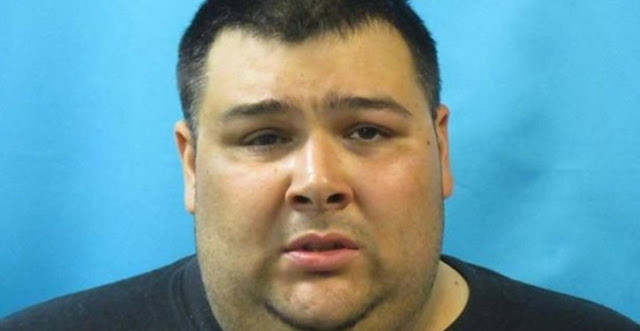 More than a year after a father was charged with capital murder in the death of his daughter, prosecutors discovered that the toddler's brother said he had rolled a 'heavy' pillow onto her face. A Texas father accused of killing his 2-year-old daughter in what police had called a "fit of rage" has been cleared of the crime after the toddler's 7-year-old brother admitted that he accidentally smothered her in 2015. More than a year after Anthony Michael Sanders was charged with capital murder in the death of his daughter, Ellie, prosecutors discovered that the toddler's brother said he had rolled a "heavy" pillow onto her face while they were playing and then could not move it off her, according to the Fort Worth Star-Telegram. "He was unable to move the pillow. He said that the pillow was a rectangle and was heavy. It had something zipped inside which made the pillow heavy," according to court documents cited by the newspaper. The boy, who was 5 at the time, said that he told his mother about the incident a year or two ago, but that he never told anyone else because he was "afraid that he would get in trouble." The mother, however, told the prosecutor that this was the first time her young son had told her the story. Sanders was watching the children one Saturday in December 2015 in their home in Watauga, Texas, near Fort Worth, while the children's mother was at an art show, police said. When she got home about 8:30 p.m., Sanders and his son were in the living room. Ellie was in the bedroom. Shortly after, police said, Ellie's brother went to check on her. "He tried to wake her up, and she wouldn't wake up," Watauga Police Sgt. Jason Babcock told the Fort Worth Star-Telegram last year. "He went in there and told [his parents] that she was sleeping and wouldn't wake up." Sanders went to the bedroom and started screaming for his wife to call 911, saying the toddler was not breathing, according to court documents. When police arrived, Sanders was attempting to perform CPR on the child. Ellie was rushed to a hospital, where she was pronounced dead. Investigators had suspected at the time that Sanders had earlier pressed his hands over his daughter's nose and mouth until she died, speculating that the toddler may have disrupted him as he played computer games. "Just a fit of rage-type deal - anger," Watauga police Sgt. Jason Babcock told the Fort Worth Star-Telegram after Sanders was charged in 2016. "He's very involved in computer gaming," Babcock added. "That's something he did constantly. She may have interrupted him somehow. His day may have been interrupted." Doctors told police that the girl had numerous recent injuries, including petechial hemorrhaging in and around her eyes - commonly caused by asphyxiation - as well as bruising around the eyes, according to court documents. The blood behind her ear, doctors told police, could have been caused by trauma. The bite marks, they said, appeared to have been made by an adult. The Tarrant County Medical Examiner's Office had ruled the death a homicide caused by asphyxiation. But that theory recently fell apart when the mother told prosecutors that her son was now telling a different story. Sanders, who was arrested in April 2016 and set to go to trial last month, was released from jail Sept. 13. His attorney, Tim Moore, could not immediately be reached for comment, but he told the Star-Telegram that Sanders had denied the charge against him from the beginning and was "elated" that it had been dismissed. Moore said he does not believe his client will face other charges. "That's obviously up to the district attorney's office," Moore told the newspaper. "It's my understanding that it's over; there will be no more charges coming out of it."